Bodies are amazing things aren’t they? They can get you to the top of mountains and back down the other side, they can heal when you abuse them when you fall off your bike, and they can take you on wonderful adventures. And all they ask for in return is a little bit of TLC. In October last year I made a conscious decision to start looking after my body a bit better. I went to see the brilliant Sally, who does sports massage and personal training. We talked about how I could get stronger and what I needed to work on to avoid injuries. At the time I was struggling with energy, so we also took a look at what I was eating and told me where I was going wrong. I didn’t do this to lose weight or to look better, but simply to feel better, healthier and stronger. I hadn’t really thought about how I’d measure how I was getting on, but this weekend I accidentally found out! 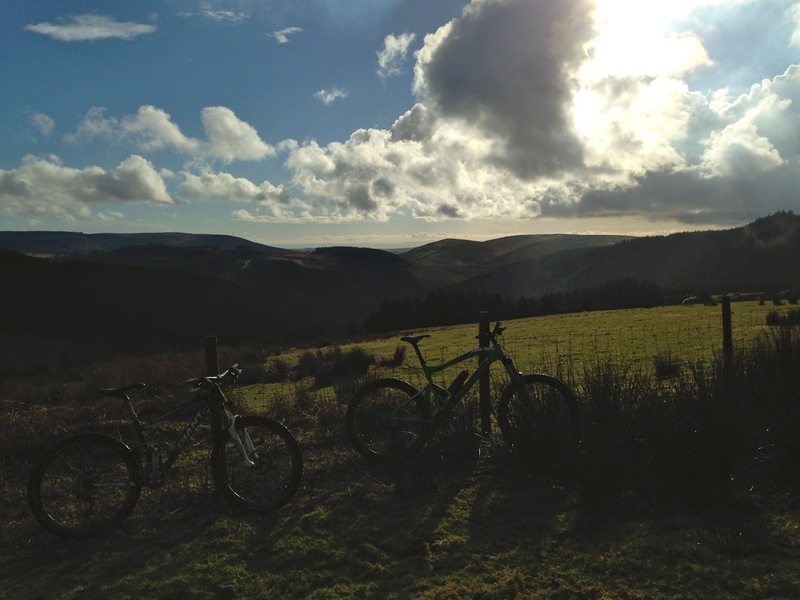 The Mr and I took a trip to Afan on Sunday for my first big ride of 2014. We’d planned on riding Y Wal, a 23km route, but when we got there we realised that we’d parked in the wrong place for the start of that route. So we ate a second breakfast in the excellent Skyline Cafe while we pondered our options. With two breakfasts in our bellies, it seemed only right that we embark on a longer ride. So we decided to try our luck on W2, a route that combines Y Wal with Whites Level to create a 44km ride. 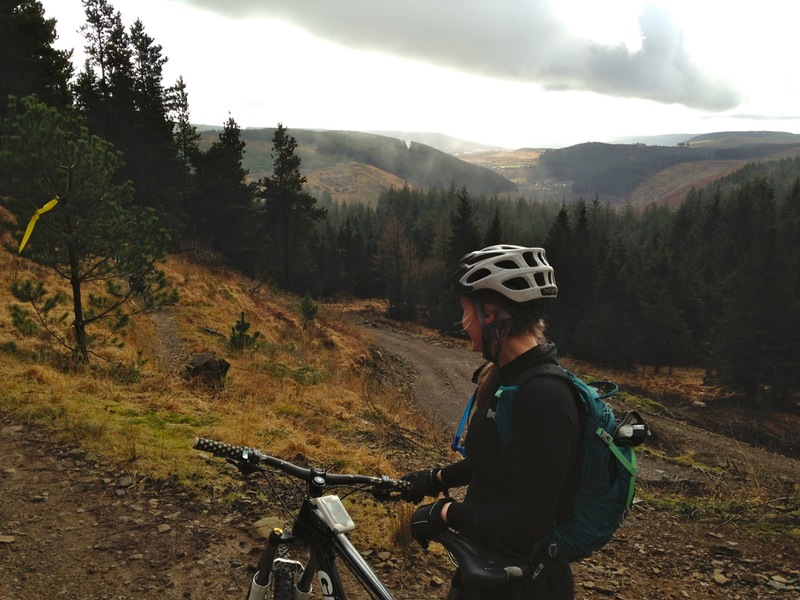 Last time I went to Afan in May 2013, I rode White’s Level on its own and found it really hard. I remember struggling up the climbs, grumbling about tired legs and a tight chest and falling in a massive patch of nettles! But not this time. This time, my legs kept spinning, my lungs kept breathing, and I steered clear of any evil looking shrubbery. I can’t believe the difference working on strength, eating better and adding a bit of running into my week has made. But it really has! My Strava times showed a vast improvement in my climbing, and my extra energy (plus confidence) saw me whizzing down the descents more quickly than ever before. If you’d told me in October that I’d be riding 44km on my mountain bike in January, I’d have scoffed and thought you were crazy. Now I’m thinking about what my next challenge could be…!